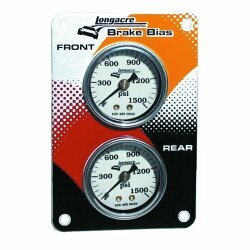 Longacre offers a wide variety of racing parts and accessories. So many, that we can not list them all here. Below are a few of the more popular items. If you do not see a Longacre item you are needing simply call or email us for pricing and delivery. Accurate to 1/4 degree, includes magnetic adapter and storage case. It has a 1.55" diameter recess in the face to clear spindle nut. Measures to +/- 8° caster & +/- 6° camber. Can be used without turn-plates. Accurate to 1/4". Replacement vials available. Durometer with pouch. Precisely measure tire hardness. Reads from 0-100 points. Super accurate, easy to read, easy to use. Calibrated in 1/32", Accurate to 1/128" (less than .010") . Comes with padded pouch. Stainless Steel Braided Teflon gauge line in 24, 36, 48 & 60" lengths comes with block fittings and installed ends. 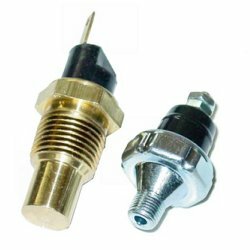 Use with oil or fuel pressure gauges. fittings with bleeders. Mini gauges are 1 1/2 inch. Longacre Fuel Pressure, Oil Pressure and Water Temperature sending units.